You can also share your photos as pdf photo book with PDF PhotoAlbum. To print out your photos you can use our Photo-Printer. Web PhotoAlbum has got a 4 stars rating on softlist.net. Awarded with "The Most Popular" award by softpile.com! 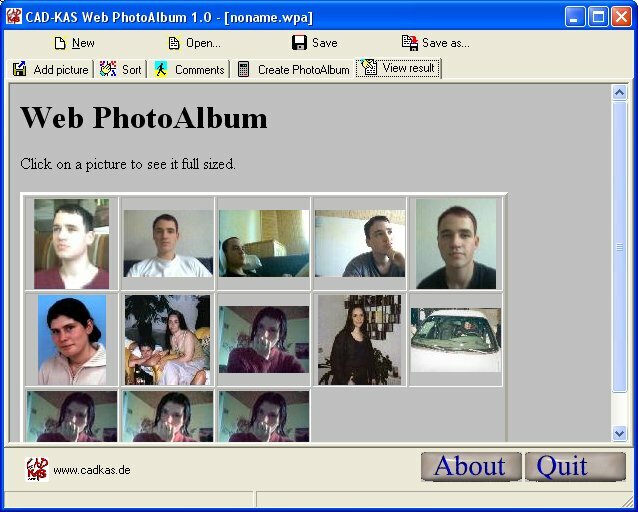 Web PhotoAlbum was rated with 5 stars by software directory topshareware.com.